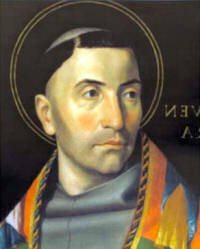 Grant, we pray, almighty God, that, just as we celebrate the heavenly birthday of the Bishop Saint Bonaventure, we may benefit from his great learning and constantly imitate the ardor of his charity. Through our Lord Jesus Christ, your Son, who lives and reigns with you in the unity of the Holy Spirit, one God, for ever and ever. According to the 1962 Missal of St. John XXIII the Extraordinary Form of the Roman Rite, today is the feast of St. Henry. His feast in the Ordinary Form of the Roman Rite is celebrated on July 13. In England this day is known as "St. Swithin's Day," celebrating the day his relics were transferred. The Catholic Church celebrates St. Swithin's feast on July 2.